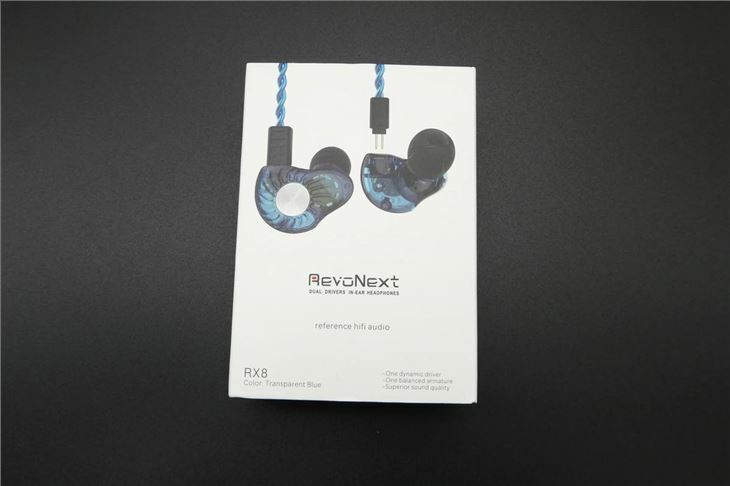 RevoNext is a relative newcomer to the headphone market, with the company being founded in 2015 by a group of audio engineers in Sweden. 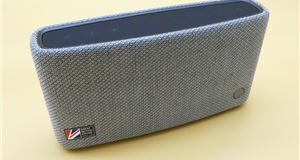 Most of RevoNext's products sit at the affordable end of the market, with the company promising high-quality sound at a price that most people can afford. The RX8 is a good example of what RevoNext specialise in, with the dual driver in-ear headphones delivering a rich playback quality at a very reasonable price. You only get the basics in the box. 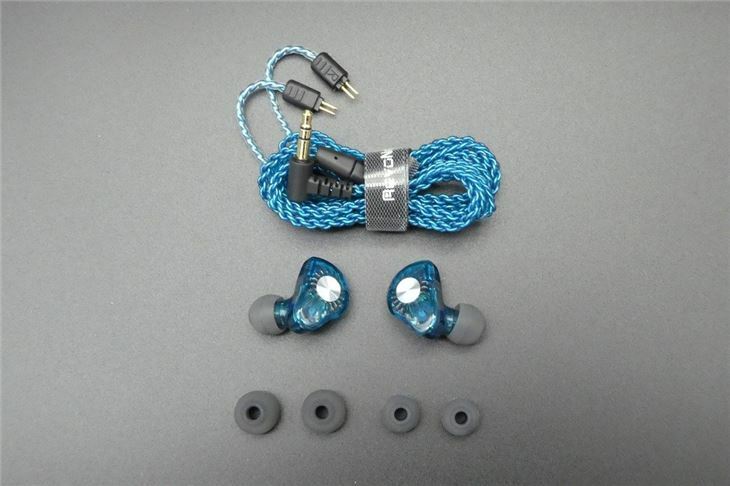 These include the in-ear headphones (obviously), three sets of ear cones and a bright blue cable. Unlike some of its rivals, RevoNext does not supply a carry pouch, but you do get a strap that makes it easy to bundle the cable up and fit it into your jacket or trouser pocket. Sound quality is pretty good for this price point. The RX8 provide clear sound and rich bass, which makes them suitable for a wide variety of musical tastes. The only criticism we can level at these in-ear headphones is that some of the higher frequency sounds can occasionally become uncomfortable. High pitch sounds, in particular, develop a piercing quality, which can be quite draining after a while. This is something you do not get with higher quality (and more expensive) in-ear units, like Sennheiser Momentum 2.0 IEi. That said, for the price, the RX8 delivers generally decent quality playback. 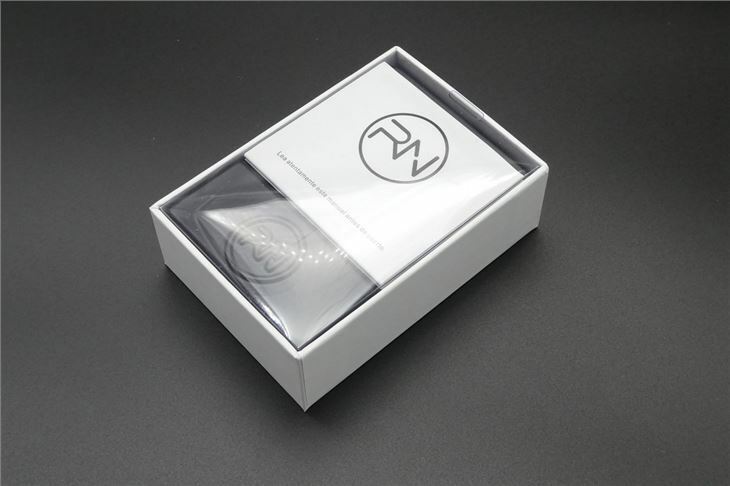 The RX8 earphones feature one dynamic driver and one balanced armature to deliver a deep sound that works well with bassy electric dance and house music. Heavy metal fans will particularly enjoy the isolation the RX8 provides between the base and low-range sounds, with the headphones providing a rewarding, small thud with each strike of the base. The RX8 does struggle to keep sounds in and out of the earbuds. 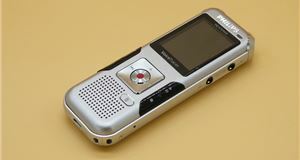 This means, if you are on a train or aircraft, for example, high pitch conversations will easily interrupt your music playback. You can drown this out by increasing the volume, but the RX8 then risks upsetting your chatty travel companions by becoming noisy as sounds escape the earbuds. 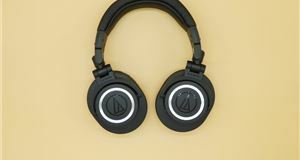 On the plus side, they're very comfortable, with the over ear fit making them particularly good for runners who want a lightweight set of headphones that will not hinder their movement. The bright blue audio cable feels quite tough too, which means it should survive daily wear and tear. Each earbud can be detached from the audio cable, thanks to a two pin connector. 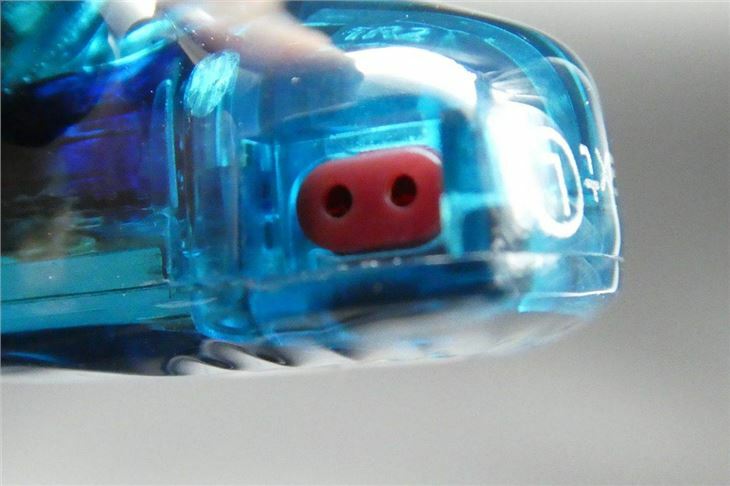 However, while the connector makes it easy to detach the earplugs, the pins are quite flimsy and give the impression they will easily bend or damage. A Bluetooth cable costs extra, but promises to transform the RX8s into a wireless set of earbuds by fitting into the two pin connectors. 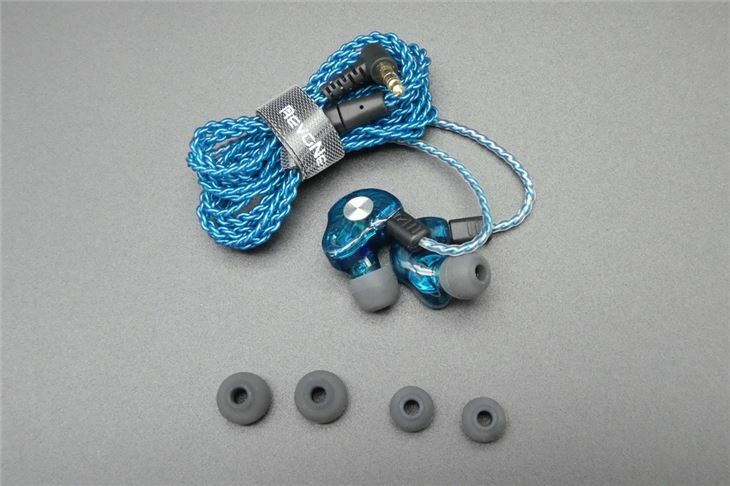 If you are in the market for an affordable set of in-ear headphones that deliver (mostly) good quality playback then the RevoNext RX8 could be for you. 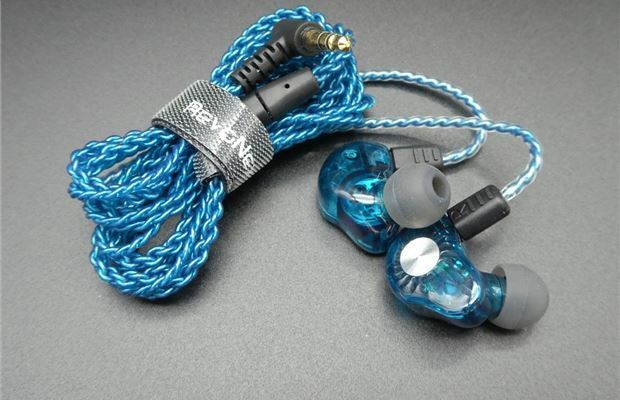 The lightweight design makes them easy to wear for long periods and the tough, ropelike audio cable gives the impression that general wear and tear will be small. There's no hiding from the fact that the RX8 makes compromises when it comes to the higher range of sounds. 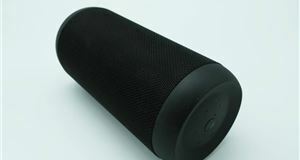 Noise isolation is also poor, at times, but it's difficult to deny that RevoNext delivers decent value. And many will be able to overlook the shortcomings at this price point.